Carillon Lakes in Lakeland FL has plenty of homes for sale that offer great contemporary architectural style built single family homes and condominiums from 1400 – 3000 square feet of living space at very affordable prices. Carillon Lakes Homes currently for sale offer a variety of style and size from a three bedroom to five bedroom two-story homes. A great buy for first-time home buyers, folks who want to down size, and investors. Prices currently range from under $125,000 – $230,000 with an average price of $177,071. 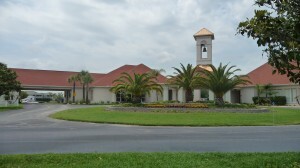 The Carillon Lakes Community in Lakeland FL offer low monthly home owners association fee provide 24 hr gated manned security, lawn mowing in open area on the properties, usage of tennis court, basket ball courts, swimming pool, fitness center, planned activities and much, much more. Please click on the link for all 3 bedrooms/2+baths in the Lakeland FL Carillon Lakes Community that are for sale. Please click on the link for all 4 bedrooms/2+ baths in the Lakeland FL Carillon Lakes Community that are for sale. Please click on the link for all 5 bedrooms/2+ baths in the Lakeland FL Carillon Lakes Community that are for sale.